The first step in obtaining a mortgage loan is to determine a reasonable amount of money that you can borrow. You will be able to do this with a pre-approval from your lender. 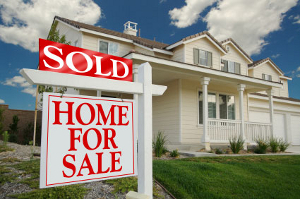 Most Realtors will want you to be pre-approved before they start providing you with listings or showing you properties. A pre-approval will help you and your Realtor zero in on just the right home. You will only look for properties within your range which will save you time. Keep in mind that although your lender may pre-approve you for the maximum possible terms, it is up to you to feel comfortable with the monthly payment, down payment, and loan type. For example, if you want to maintain a certain retirement savings level, vacation frequently or make large purchases, these could be reasons why you may want to opt for a lesser purchase price/payment amount. What will be considered for my pre-approval? The amount of your down payment affects which loan programs may be available to you. Higher LTV’s (less of a down payment) represent a risk to the lender, but there are several ways to overcome this. 1) Private Mortgage Insurance (PMI) can be obtained by the lender on Conventional loans to cover a portion of the risk should the borrower default on the mortgage payments. PMI is typically required when putting less than 20% down. 2) FHA loans allow a lesser down payment, and these loans carry a similar protection to a lender called MIP. 3) Loans for Veterans (VA) can are obtained with zero down payment. Just like the others, these carry protection for the lender, called a Funding Fee. In each of these examples, it’s the borrower that pays for the protection, whether it’s a monthly amount included in the mortgage payment and an up-front fee. Also known as DTI, this is a percentage of monthly debts vs. monthly gross income. Your lender will want to be certain that your monthly obligations don’t far exceed the established benchmarks. There are two ratios that lenders consider when evaluating your loan request. 1) Housing ratio (aka top ratio, 1st ratio, front ratio). A lender will want to see this ratio around 28%. The ratio is calculated by taking the entire obligations related to the property and dividing it by your monthly gross income. For example: Mortgage Principal & Interest + Real Estate taxes + Homeowner’s Insurance + PMI + Association dues divided by gross income. 2) Total DTI ratio (aka bottom ratio, 2nd ratio, back ratio). This ratio is calculated by taking the Housing Ratio and adding all other debt, such as auto loans, credit card, or student loan payments and dividing by gross income. This ratio should be no more than 36%, although some loan programs allow for higher DTI ratios. FICO Credit Scores are used by lenders as a quantified measure of borrower creditworthiness, which is derived from mathematical models developed by Fair Isaac and Company. FICO scores are a number that reflects the risk of the individual in comparison with that of the population. Your FICO score is built on your performance in several areas, and weight is given to each category. In the loan process, lenders will want to see a sufficient employment history by asking for pay stubs, tax returns and W-2’s. A two-year history of employment in the same line of work is required. Self-employed borrowers may be required to present slightly more income documentation, depending on the type of entity is the source of income (i.e. sole proprietor, partnership, or corporation). Lenders expect borrowers to have sufficient cash for the down payment and other fees payable by the borrower at the time of closing. It's anticipated that these funds be the borrower's savings, although a borrower may receive non-returnable gifts towards down payment and other loan fees. Be sure to inform your lender of all sources for down payment and closing costs up front. Fill out your loan application completely, Do not leave out any information and assume that your lender does not need to know. Respond promptly to any requests for additional documentation, especially if your rate is locked or if your loan is to close by a particular date. Save copies of the checks, deposit receipts, or transfer receipts. If you are receiving gift funds from relatives, inform your lender, and they will provide you a gift letter for the donor to complete. Keep copies of all receipts for gifted funds. Do not make any major purchases until your loan has closed. Purchases cause your debts to increase and might hurt your current application. Do not go out of town around your loan's closing date. If you must be out of town, check with your lender first to determine if a Power of Attorney to authorize another individual to sign on your behalf can be used. Most lenders have multiple loan programs available and will give you the options they feel best will suit your financial situation. You could be provided information for an FHA, VA, Conventional, Jumbo, or unique Local First Time Home Buyer programs. Determining your repayment terms is also an important part of the loan process. Adjustable Rate Mortgages (often called ARMs) typically last for 15 or 30 years, just like fixed rate mortgages. The ARM interest rate is typically less than fixed rates. They have an initial fixed rate period and then begin adjusting after that. For example, the common 5 Year ARM is fixed at “X” rate for the first five years, and then start adjusting each year after that. The interest rate can adjust up or down, and most have caps to limit how much the rate can adjust each time. Plan to stay in your home less than five years –or at least not exceed the initial fixed rate period. I have been approved, now what? After you have received your pre-approval, you can begin shopping for a home with confidence that you should ultimately be approved for the mortgage on the home you select. You should work closely with your real estate agent and your lender to make certain that the property taxes and other expenses, such as Association dues, fit into the budget determined by your pre-approval. Once you have made an offer on a home, most buyers will arrange for a home inspection to determine whether the condition of the property is satisfactory. In most states, it’s common to hire a real estate attorney to review your purchase contract and to negotiate any repairs found on the home inspection. At this time, your lender will request any additional documentation needed to process your loan request officially. You may or may not have signed the actual mortgage application package before making an offer, but if you haven’t, you will be asked to do this now. Your lender will provide figures that will give you an estimate of closing costs, transfer tax fees, title, etc. and also what you can expect to be out of pocket at closing in the form of a Good Faith Estimate. Your lender will order the appraisal report, which will be performed by an independent 3rd party. The appraisal will validate the purchase price by comparing the property to not less than three other recent sales of similar properties. There are many other important items that the appraiser will observe, such as functional utilities, water damage, structural concerns, and overall condition. Your lender will submit the appraisal and all other documents you have provided to the Underwriter for final approval. Keep in mind that your underwriting approval could be subject to conditions that require further documentation or clarification. Once all conditions of the mortgage have been met, it’s time to schedule the closing. If you have an attorney, they will arrange the closing date, location, and time with the Seller and the title company performing the closing. Review the loan documents before signing. Verify the loan program and interest rate matched to what you agreed upon with your lender Also, check your name and property address on the loan documents are accurate.